With glucosamine, MSN and chondroitin for strong healthy joints wheat gluten free and proven hypoallergenic ingredients. Does super premium pet food have to come at a super premium price. When you buy big brand, big name petfoods, you pay a big brand price! What are you paying for? Fancy bags, Free offers, television adverts, event sponsorship, area reps, their cars, their travelling expenses, Wagons and warehousing. Why are we different just the good premium food in a simple bag with a simple label. Our advertising is purely through the internet website and through customers recommendations. 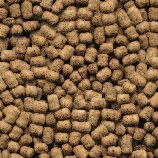 Wheat gluten free a nutritious food which provides all the essential nutrients required for active, healthy puppies. There are no artificial colours or flavours, which are often the source of chronic skin irritations and hyperactive behaviour. Glucosamine, MSM, chondroitin for joint health. An excellent nutrient rich diet that is both energy dense and highly palatable. Wheat gluten free.